As a marketer you need to understand your customer in order to really give them what they want. Sending a one size fits all email to all your users is likely to lead to a lot of unsubscribes, but how can you make your email marketing campaigns personalised, showing you understand what they really want? The easy answer, behavioural triggers. So what are behavioural triggers? Put simply, it’s the delivery of emails to segmented groups of people based on the actions they carry out on your website. It’s all about delivering emails to your users based on the information you’re able to gather about them and their habits, for example abandoning their basket before purchase. The most surprising fact about behavioural triggers is that only 20% of marketers use them! And considering the amount available to take advantage of this is a valuable resource not being utilised. There are many behavioural triggers that you could be using to improve email campaigns and sending personalised offers to your users based on their on-site behaviour will make your email marketing incredibly effective. 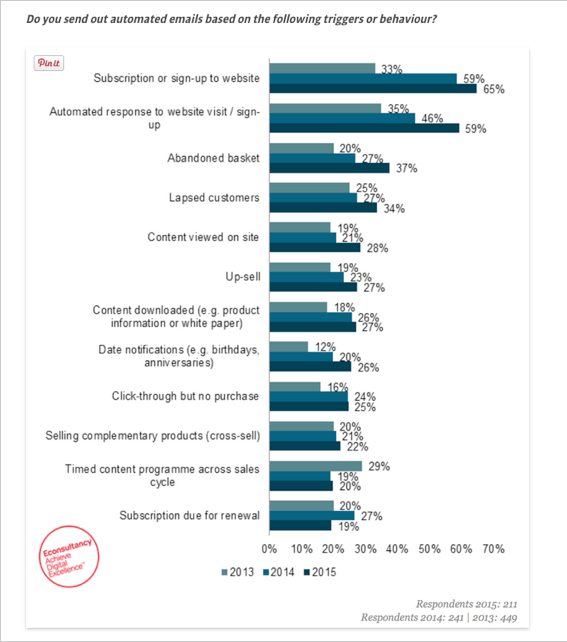 Compared to traditional emails they have a 152% higher click-through rate, according to Epsilon. So let’s take a look at which triggers you could be taking advantage of and how they could be improving your campaign. A triggered email sent to welcome a new user creates a great first impression and can help to create a strong relationship. Use these emails to educate people on the value of your brand, and throw some special offers in there to help drive conversion. Using this trigger to engage with your users through email is perfect for recovering lost revenue. Set the trigger email to remind them of what they have shown an interest in along with an offer to answer any questions they have about the product or an incentive to complete the purchase in the form of a discount offer. 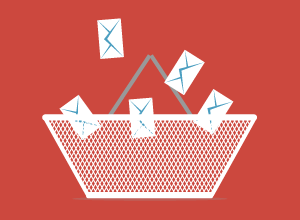 An email marketing census found that abandoned basket emails achieved the highest ROI when compared to other automated email marketing. Also referred to as re-engagement campaigns, helping you to reignite those inactive users. These triggered emails need to be different from the usual emails you send (since they’ve ignored your previous efforts), change up the copy and particularly the subject line. Split testing will help you to determine what will work over all so ensure you use this. These are triggered when users have purchased your product or service. Up selling is a good way to create extra revenue if the product/service they purchased is subscription based, highlight the benefits of upgrading — just be careful when you send this and how it comes across as you don’t want to becoming irritating after they’ve already committed to you. Cross selling is less pushy as you’re offering items or additions that will support or enhance what they’ve already purchased. Again, you should still think about the timing as you don’t want to bombard their inbox, so set the automated email for a few days or a week after. Gated content is one of the best ways to generate leads. An automated email to thank them for downloading and ask if they enjoyed reading is a good way to keep the relationship moving. Accept that content marketing rarely works as ‘download content > sell product immediately.’ It’s a much slower process that needs developing; it’s all about delivering useful content, then keeping yourself in the customers mind so you’re there and well-positioned when they’re ready to buy somewhere down the line. The way to develop this is through timed content emails. After the initial thank you email, set automated follow up emails at regular well timed intervals. A lot of subscriptions expire simply because people forget about it, nip this in the bud by reminding them its due for renewal. This is a particularly big problem for some industries such as web hosting, if the subscription expires the website goes offline which can then end up costing; or file storage where subscription ending means lost files. A reminder well timed from you will therefore eliminate the issues of blame when the customer forgot, putting you in their good books. As we said the one size fits all approach to email marketing isn’t always the best way to go about your campaigns but targeting your emails by the actions of your users could increase the conversion rate within your campaigns by 208%! It’s all about being useful and providing useful signals to guide your users through the buying cycle. If you’ve found this article helpful and would like so more information on this and other email marketing features why not download our ebook: The agency’s guide to email marketing.